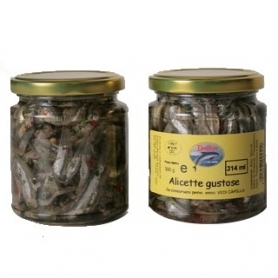 Anchovies caught in the Cantabrian Sea, the northern coast of Spain, where Italian conservatory masters moved to the beginning of the century bringing with them all the knowledge of the processing of this exquisite fish. 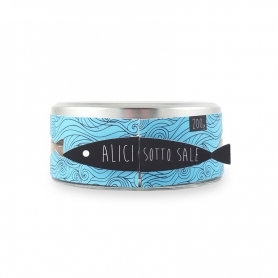 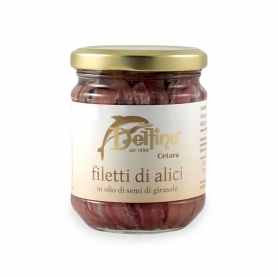 Anchovies celebrated for their perfect balance of meat and fat, great to try in purity. 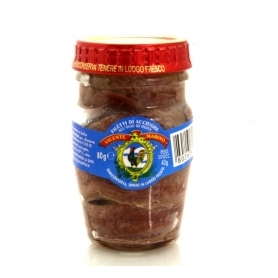 Anchovies of the Cantabrian Sea , famous all over the world for its precious flesh. 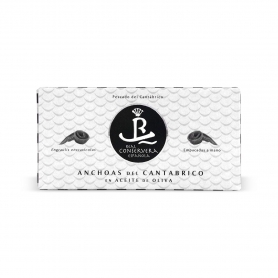 The cold sea of ​​the northern coast of Spain is the ideal environment for this fish, allowing it to reach a larger size and giving its pulp the right balance of fat. 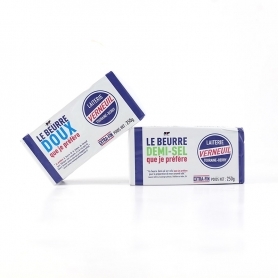 You still work with a traditional method. 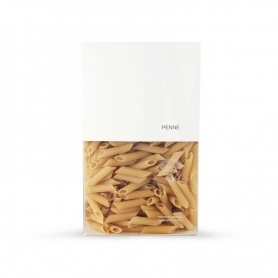 Must be tried at least once in purity. 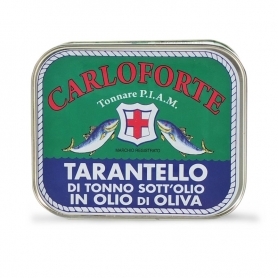 At the beginning of the last century holy Marine , a Sicilian conservatory maestro, moved from his beloved land to the small center of Orio on the northern Atlantic coast of Spain, there he found a sea full of fish where he finally got an extraordinary product for quality, worthy of his great salty experience. 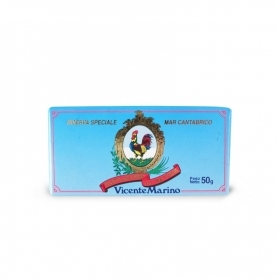 After more than a hundred years, Vicente Marino (by the name of the son of Saint) has become a leading laboratory of seafood of excellence thanks to methods handed down for generations. 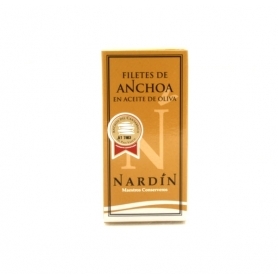 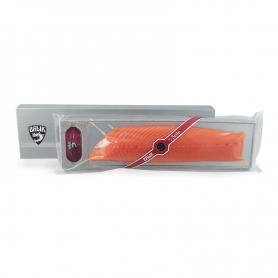 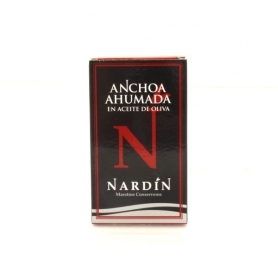 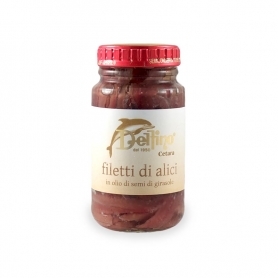 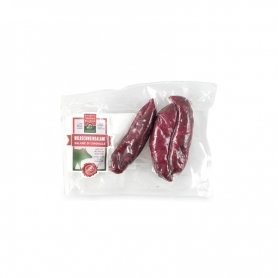 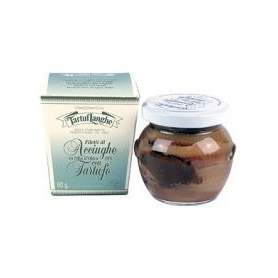 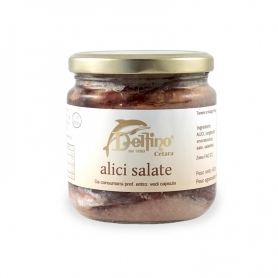 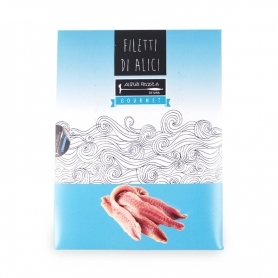 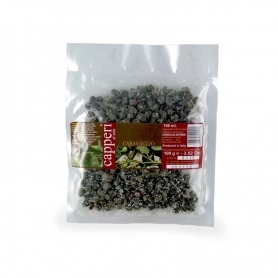 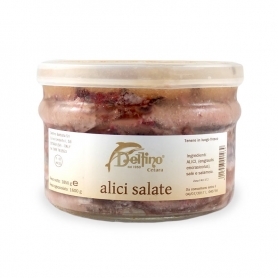 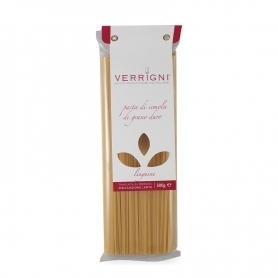 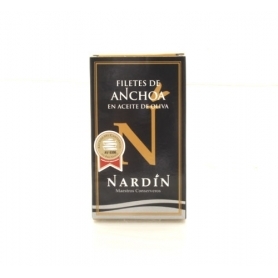 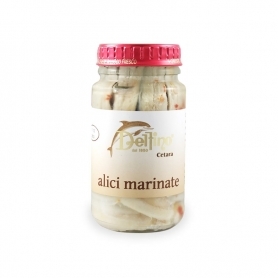 Discover all products in the category "Anchovies"
Nardin - Anchovy fillets in olive oil, 50 gr.